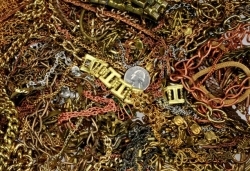 Assorted cut pieces of brass, steel and aluminum chain; Random cut sections from 1 inch to 12 + inches. 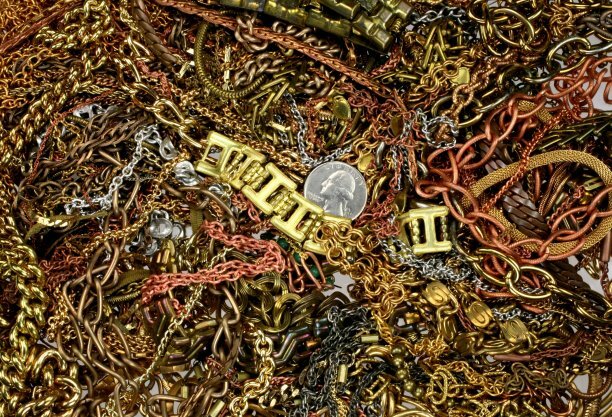 Assortments are random so styles and lengths of chain will vary from order to order. 5 pound minimum @ $3.50/pound.